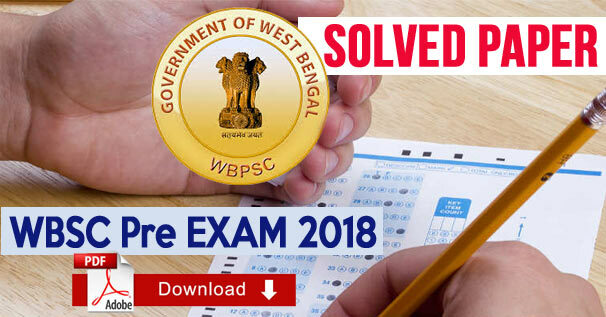 WBCS preliminary exam of the year 2018 held on dated 28 January, 2018. We are giving 200 questions of General Knowledge of this exam with answers. Here only the solution of questions No. 1 to 20 is given. For all the rest questions download the PDF. Solutions of all the part are included in PDF file. PDF File is absolutely FREE. He has a preference ................. tea .................... coffee. It is 9 o'clock ...................... my watch. ............. his humiliation, he attended the function. In all probability it ................. rain tonight. She had better ................... the room. The girl ..................... her mother. She liked the ................ plan better. He stood in hot water. ........... about dinner, John ran the whole way home. The teacher will ................... a new chapter tomorrow. Only .................. is there a rumble in the sky. We didn't really want that particular hote, but it was a case Hobson's Choice.